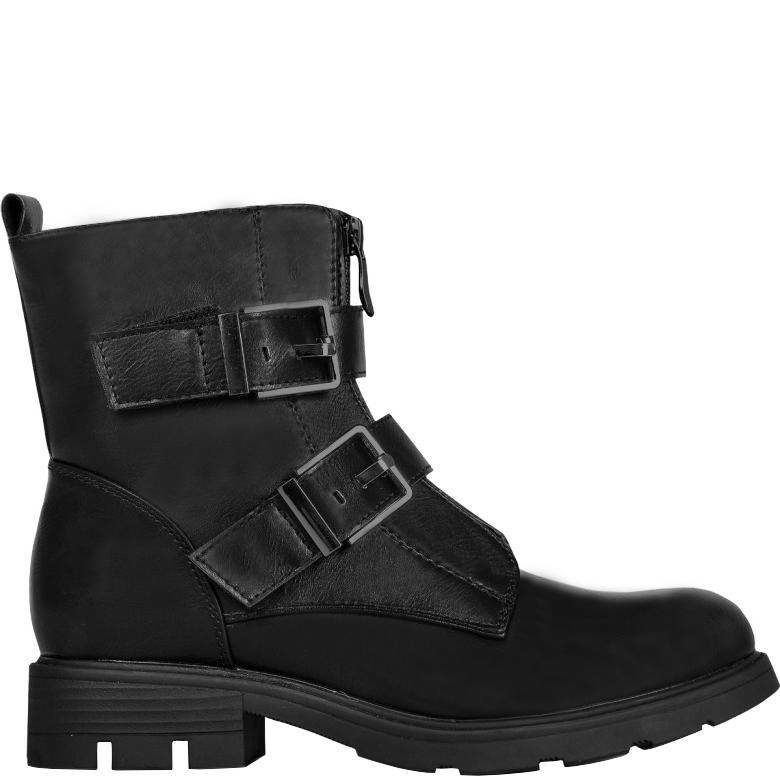 All black biker boots should not be missing in your wardrobe, because they are cool and comfortable. 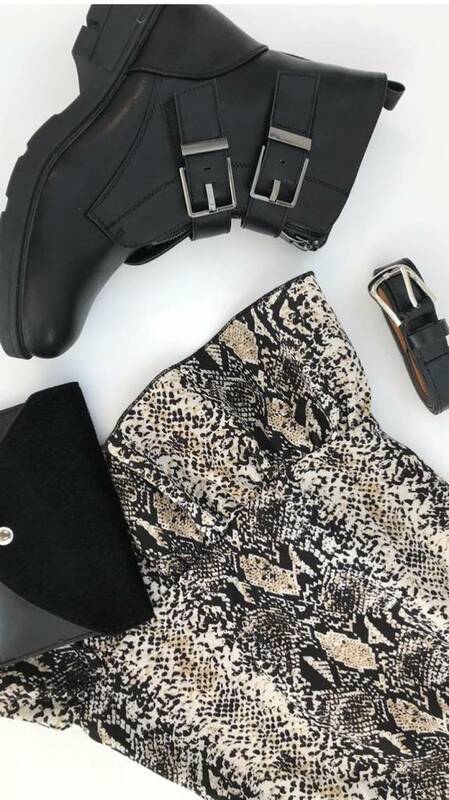 Combine the boots with a skirt or just with a cool pair of jeans and your outfit is complete. The biker boat has two black buckles. The boots have to be run in first, are a bit tight in the beginning. They are slightly smaller, keep that in mind!